People, young and old, are reading on the metro, passing away the time looking at the free daily paper, reading a favorite novel or going over notes for class. 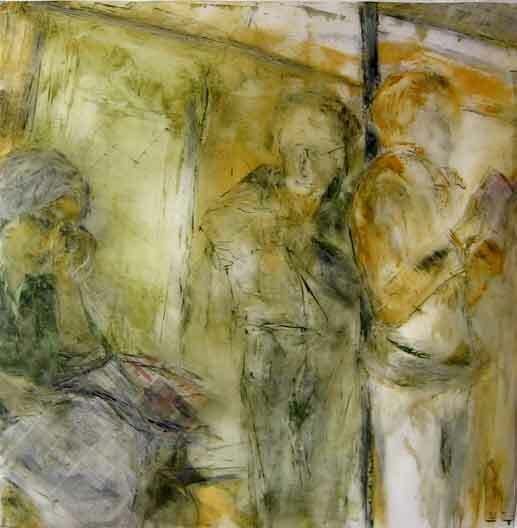 Lecture (36 x 40 inches) is a composite of the people that I see on the metro, each in their own world with their favorite reading. 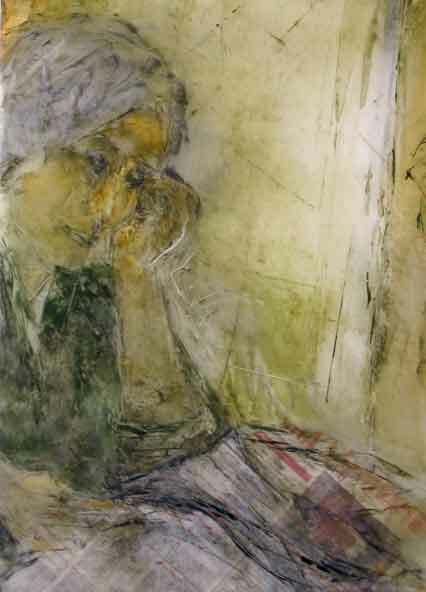 Using oils on mylar, I have combined both abstract and figurative elements in the drawing. For this piece, collage elements have been added to the back of the mylar, as can be seen from the detail at the left. These collage elements are used as a reflection on what people read on the metro.